A spokesman for Muammar Gaddafi has claimed that 17 “mercenaries”, including what he called French and British “technical experts” had been captured in the Gaddafi bastion of Bani Walid in Libya. “A group was captured in Bani Walid consisting of 17 mercenaries. They are technical experts and they include consultative officers,” Moussa Ibrahim told Syrian-based Arrai TV. “Most of them are French, one of them is from an Asian country that has not been identified, two English people and one Qatari,” he added. He said the 17 would be shown on television at a later time, but did not give more details. It was not immediately possible to verify the claims. The French foreign ministry said it had no information regarding the report. NATO, French and British officials had on Saturday denied a report by Arrai TV that some NATO troops had been captured by Gaddafi loyalists. Western special forces are known to have been in Libya and to have liaised with anti-Gaddafi officials during the conflict. Private security firms have also been helping anti-Gaddafi forces, according to Western media reports. 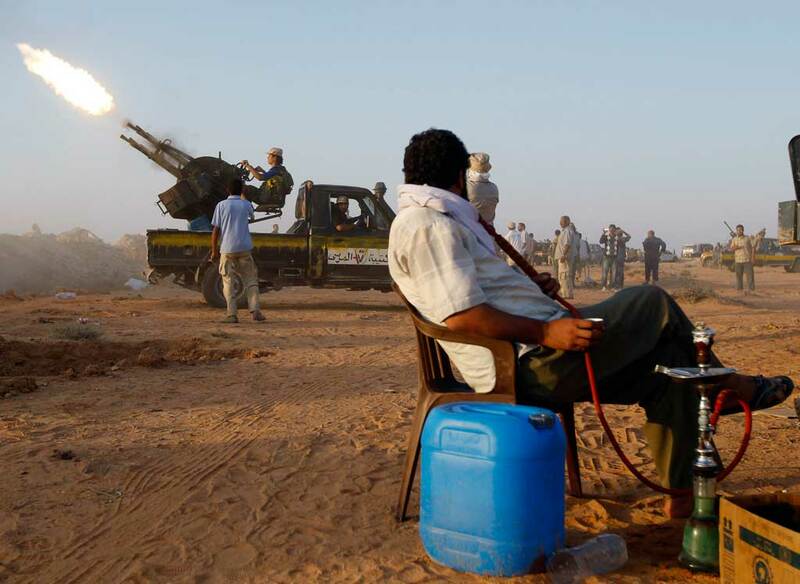 Meanwhile, interim government forces have fled in chaos from the town of Bani Walid and pulled back from Sirte after yet more failed attempts to storm Gaddafi’s final bastions and take control of the entire country. Since taking Tripoli last month, National Transitional Council (NTC) fighters have tried several times to storm Bani Walid, 150 km (90 miles) southeast of the capital, only to retreat under heavy fire and in disorder. NTC fighters said they had planned for tanks and pickup trucks with anti-aircraft guns and rocket launchers to lead Sunday’s attack, but foot soldiers had piled in first. “There is a lack of organisation so far. Infantry men are running in all directions,” said Zakaria Tuham, a senior fighter with a Tripoli-based unit.